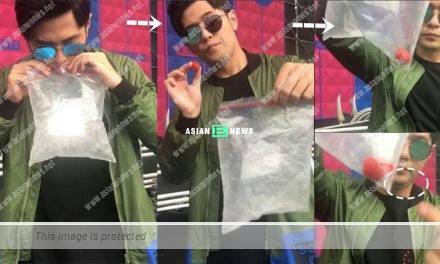 Ever since releasing the first solo album in 2000, 40 years old Jay Chou (周杰倫) becomes popular in Hong Kong, China and other countries. Lately, he has been preparing his world tour concert and will be holding it in The O2 (O2體育館) in England in April after the concert in the US in February. Despite the high popularity, Jay remained friendly and shared photo and a short video clip of himself surrounded by many students. He tried his best to sign autographs for them and left a message: “I feel happy as long as you are happy. #looks like an autograph session in the school #resembles a newcomer” In the video clip, there is 2 teachers trying to save Jay but he continued to sign autographs. Many netizens asked for his location and hoped to get autographs from their idol as well. 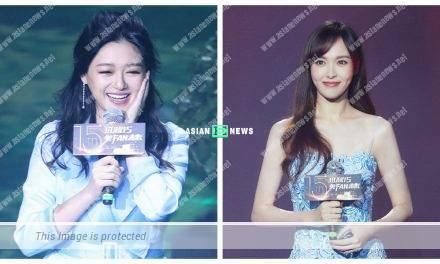 A few days ago, Jay was invited to an opening ceremony of a restaurant in Hong Kong and expressed his desire to conduct an autograph session at a shopping mall as a newcomer. As he had been signing for the students, it is highly likely that his dream will come true.